Pilate tried to wash his own hands with dirty spiritual water. His attempt to wash away his spiritual filthiness was both a sham and a shame. Pilate could not remove the blood of Jesus Christ from his hands. Pilate made the decision following the cry of the crowd, even though he understood that Jesus Christ was innocent. Pilate was responsible for his choice in this matter. There was no possibility of him passing the blame for his decision on the unruly crowd, his surroundings, other leaders. Though he attempted to wash his own hands, he was guilty. 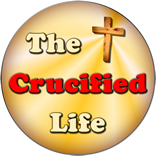 Pilate chose to hand over Jesus Christ to be crucified, like a common criminal. 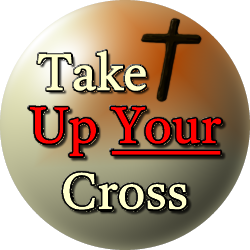 It is true that Jesus Christ’s blood is upon every person who through his or her choice to sin did personally partake in the necessity for His sacrificial death on the cross at Calvary. Every person has an important choice to make concerning the innate presence of sin at work in his heart, choosing to hear God’s call and repent. Or to ignore the call of God and continue in sin forgoing salvation and a new and perpetual spiritual life. Every man, woman, and child have a need to repent of their sin nature by choosing to be washed by the water of life offered by God for the forgiveness and cleansing from sin.